New Linthorpe is inspired by the original 19th century Linthorpe Pottery, Middlesbrough. It re-purposes the idea and value of a social enterprise but hands it directly back to the community. Workshops are set up in the locality where people are invited to 'make' with their own earth. The physical reclamation of the land by the community allows a space for discussion as to the future of the region based on personal and shared experience. The users of the project formulate the outcomes by suggesting direct uses for the project itself within the Tees Valley. The work carried out is guided by the belief in not just the ability but also the responsibility of art to make a difference to lives. To find new uses for local clay: Community vessel production, Honesty shop, as art world currency, medium for export, production of brick or architectural material for rebuilding local area; To create encounters that allow the community to take ownership of their own land/earth (clay); To utilise and establish skill sharing and social making as a platform for community building; To re-define the aesthetics of 'makerliness'; To respond directly to community input and transform into output. Creation of a supported ecological system, which encourages the growth of self-empowerment and the development of a positive shared community identity, assisting to end local declinist narratives. 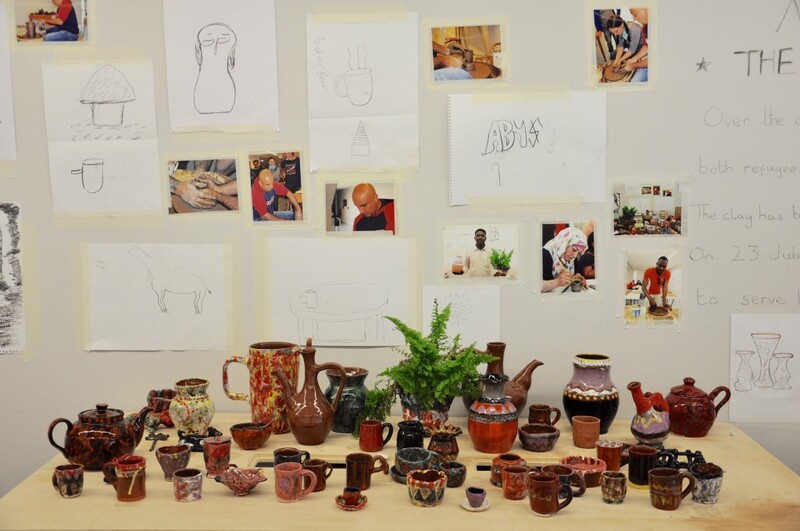 During activities and workshops, ceramic vessels were made based upon a community members need and some of them were put up for sale on a no questions asked basis. Income from sales went directly back to the makers. 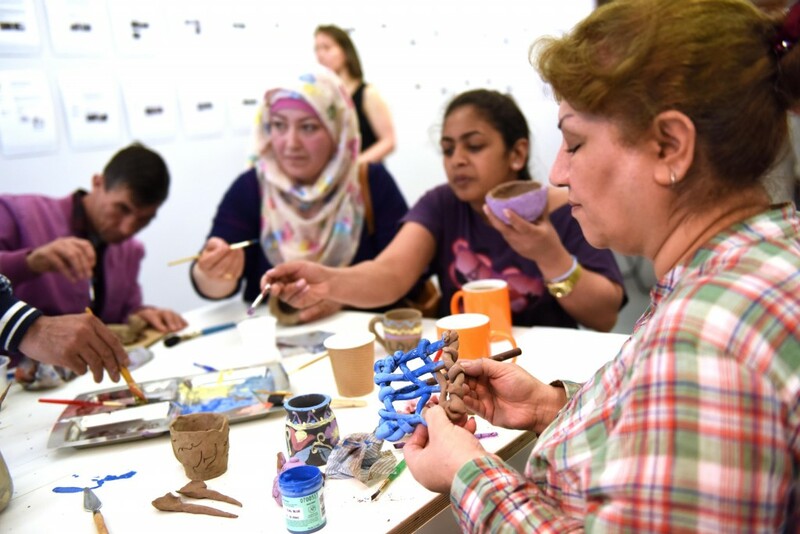 Working with asylum seekers living in the area, workshops acted as a classroom for learning English.